Trains in Ukraine can be lovely, modern things, with comfortable chairs, TV and magazines that tell you how wonderful Mikheil Saakashvili is, and they can also be barely renovated 1970s wagons with long, dusty carpets thrown across lino. I made my way eastwards on one of the former, as the in-train TV interspersed its adverts with some astute historical trolling, showing a clip in Ukrainian and English on Vlasov’s Russian National Army, a wartime collaborationist force rather larger than those recently extensively discussed in Ukraine. When you arrive in Ukraine’s fourth-largest city, you’re at a hulking neoclassical portal designed by the Moscow Metro’s greatest architect, the Kharkov-born Alexey Dushkin. This leads you to a columned central hall, with a chandelier and stucco ceiling more rococo than baroque. The waiting rooms are segregated between those with plush armchairs, which you have to pay extra for, and more mundane rooms with plastic chairs — a rather startling inequality. As soon as you’re out, the steps lead down to Petrovsky Square, named after the Communist politician the city of Dnipropetrovsk is no longer officially named after. Post-war “Empire Style” neoclassical flats loom vaguely over a small statue of the man himself, pointing eastwards. A small wooden Orthodox cross has been erected in front of him, but at least in November last year the statue was untouched, although it must legally be removed. Before 1917 Grigory Petrovsky was a local worker, a Bolshevik organiser among the Ukrainian, Russian and Jewish steelworkers and miners of an area that was industrialised at the turn of the century; Ekaterinoslav, named after Catherine the Great, was renamed as a compound of the river that flows through it and Petrovsky in 1926. The cross is there because, as a member of the Ukrainian government in the early 30s, he is considered to be an “organiser” of the Holodomor, the great famine that killed millions of Ukrainians while grain continued to be exported in 1932-3. R W Davies and Stephen Wheatcroft’s definitive book on the famine, The Years of Hunger, finds a horrified Petrovsky — more a figurehead than an active leader by this point — writing to the Politburo, demanding that they publicise the famine and ask for foreign aid, but these shades of grey are hard to find, in a time and place when the famine is usually either turned into a nationalist myth or simply denied. 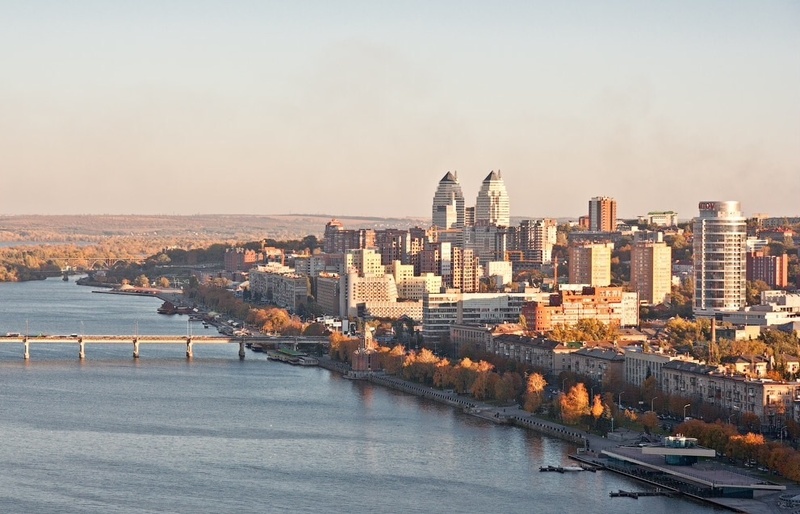 However, given the antagonism and expense that changing the name would incur, the city has just voted overwhelmingly to change its name to Dnipropetrovsk. The “Petro” now refers to St Peter, who as we know has had only a benign influence on history. Until very recently this would have been considered one of the major cities of eastern Ukraine, but the war has made it, among other places west of Donbas, rebrand itself as “central”. Central it certainly is. 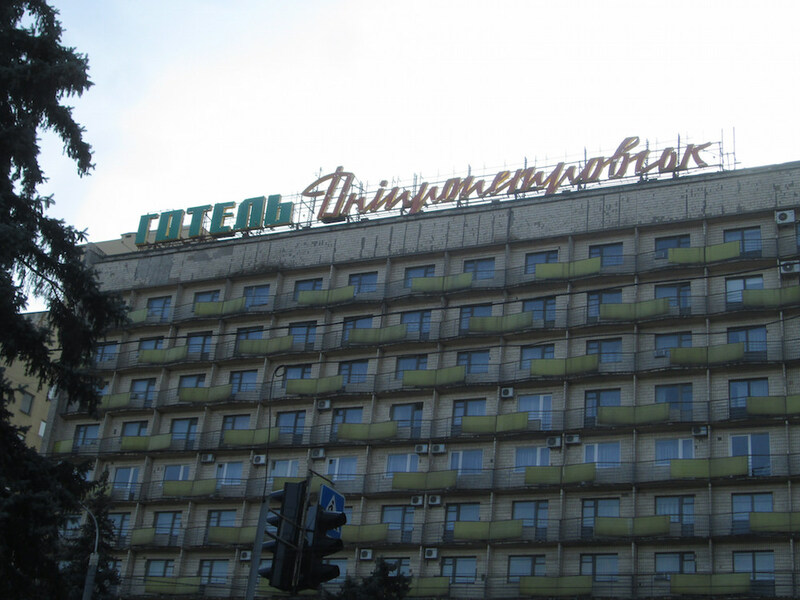 Since the 70s this was, first, one of, if not the most, important city of the Soviet military-industrial complex, and then the centre of Ukraine's post-industrial elite. Aside from the steelworks and mines established under Nicholas II and then hugely expanded under Stalin, it became one of the main production centres of the Soviet space programme under another local boy, Leonid Brezhnev. There is some tedious controversy about whether Brezhnev identified as “Russian” or “Ukrainian” — his Party card said the former, his passport the latter — but either way, Dnipropetrovsk was always his power base, and the city centre was substantially remodelled in the 70s and 80s. It then became the base for nearly the entire post-Soviet Ukrainian elite. 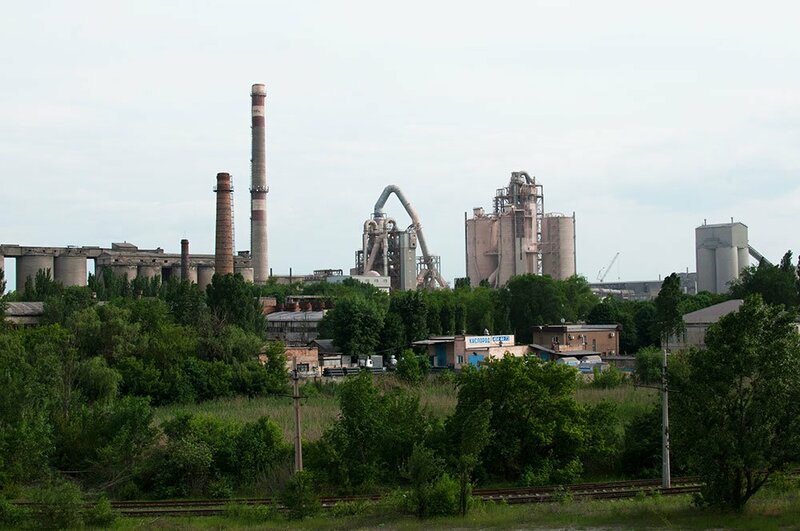 Here, on the rock of the asset-stripping of “Rocket City”'s factories, was established the fortunes of Leonid Kuchma (director of the rocket plant before he became President), Viktor Pinchuk, Igor Kolomoisky, Pavlo Lazarenko, Gennady Korban and of course Yulia Tymoshenko. By comparison, Donetsk hoods like Rinat Akhmetov, or the Bessarabian confectionery mogul who is current President, are fairly minor — and Donbas’s ruined, war-devastated status means that Dnipropetrovsk is now probably the most important city in Ukraine, something aided by the way that the city’s “Anti-Maidan” was swiftly bought off or suppressed by Kolomoisky, the newly appointed post-Maidan governor, who then proceeded to funnel his money into often neo-fascist volunteer battalions and an array of astroturf political parties. 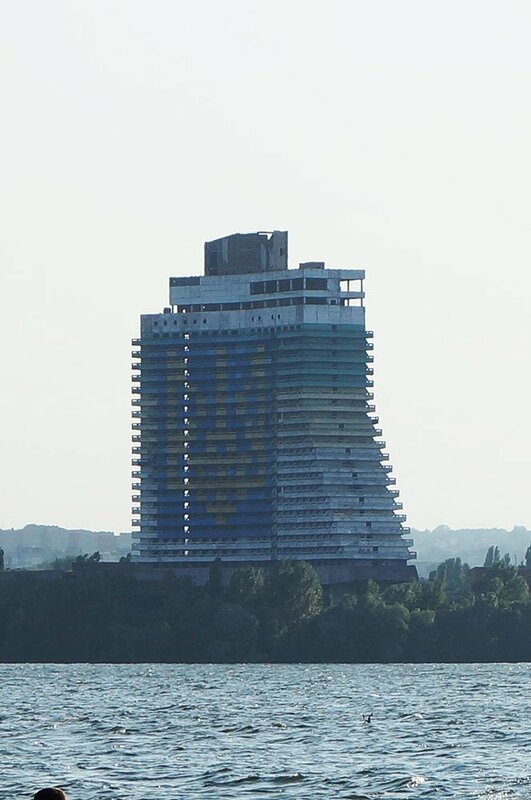 Dnipropetrovsk should also be an interesting place to see if any of the immense wealth made by Ukrainian oligarchs has managed to “trickle down”. 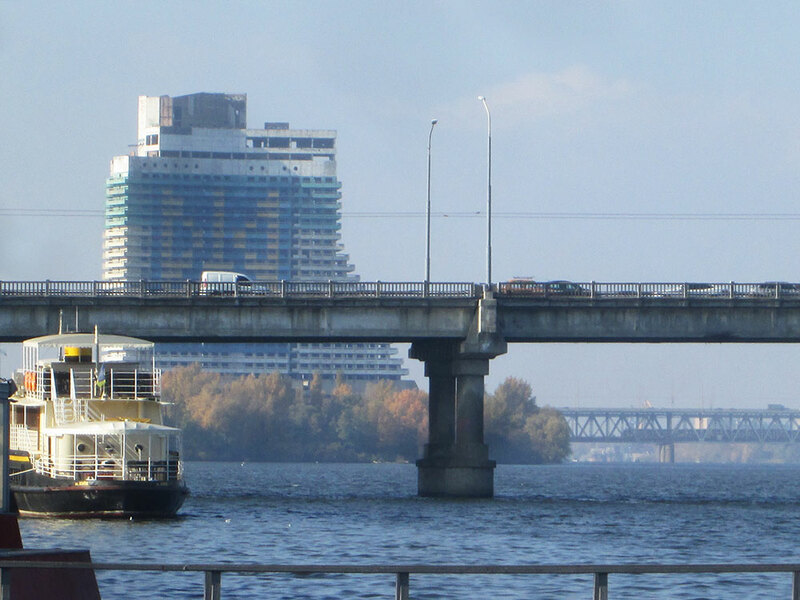 The first part of the city's compound name is responsible for what is the most interesting part of it, architecturally — the long river walk across the Dnipro that was, when I visited in October and November, still called the Lenin Embankment. Carved out under Brezhnev and opened to the public in the early 80s, it is an unexpectedly lovely public space, lined with a panoply of impressive late modernist structures, to which little has been added, but whose boardwalks and greens have been reasonably well maintained; it’s the centrepiece of Dnipropetrovsk as the futuristic, industrial capital of Brezhnev's “Age of Stagnation”. The first of these is the River Terminal. Most ex-Soviet cities — including Kiev — have one of these, usually faintly neoclassical palaces with spires, modelled on Moscow's elaborate Italianate Northern River Station, but Dnipropetrovsk's is totally different, a Constructivist volume extended out into the river. Past that is Parus, a high-rise hotel that steps down, ziggurat-like to the water. Designed in the early 80s, it was never finished (structurally complex, it was left to rot as astonishing fortunes were made around it in the early 90s), and has been a famous failure ever since, Eastern Ukraine's own Ryugyong Hotel. The rotting concrete is occasionally spruced up, sometimes with an advert for Kolomoisky's PrivatBank, and currently, with a big Ukrainian flag. Then there is a rotunda restaurant, also out on a pier in the river — originally modernist, it has gradually been turned into a tatty neo-vernacular wigwam, with a pointy tiled roof. 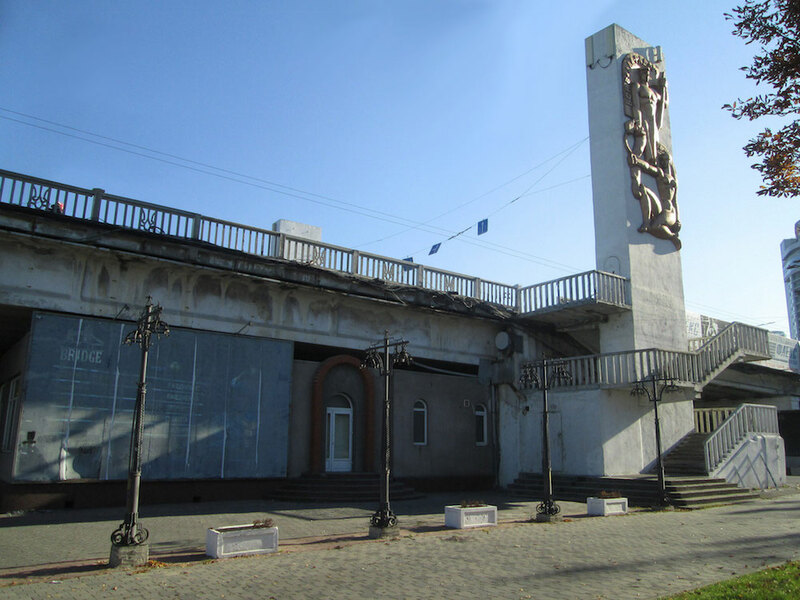 Beyond a concrete bridge with heroic and illegal sculptures of heroic workers and peasants is the most impressive monument of the Lenin Embankment, Dnipropetrovsk Circus. This enormous building commands its own square, and its tent-like design, capped by a little diorama of figures, in silver-painted concrete, is fairly obviously borrowed off Oscar Niemeyer’s Cathedral in Brasilia, with the goofy elements of that building desacralised and applied to the USSR's strangely persistent love for the Big Top. Next to it, a curved, expressionistic block of flats complements the design, originally reserved for the workers of the Circus. 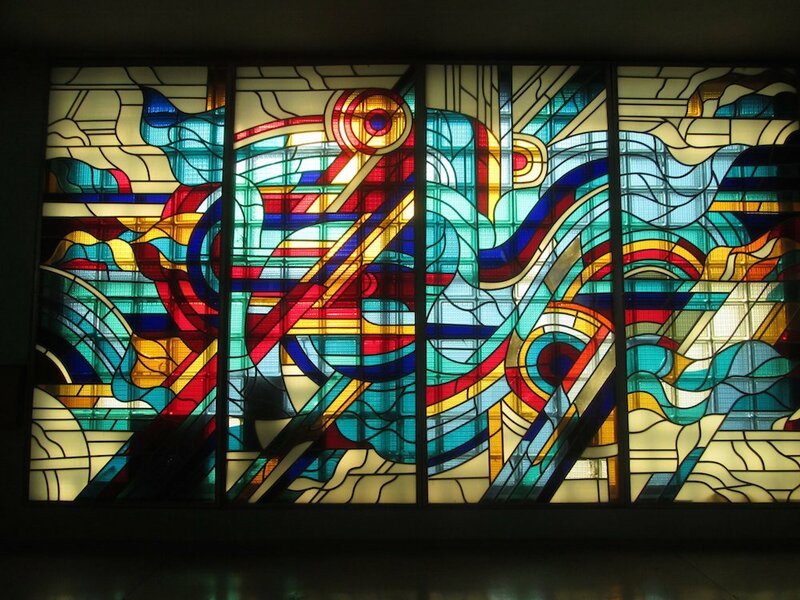 Alongside is the more prosaic Hotel Dnipropetrovsk, a standard slab which contains within it some magnificent stained glass panels, in a Intourist Pop Kandinsky manner. 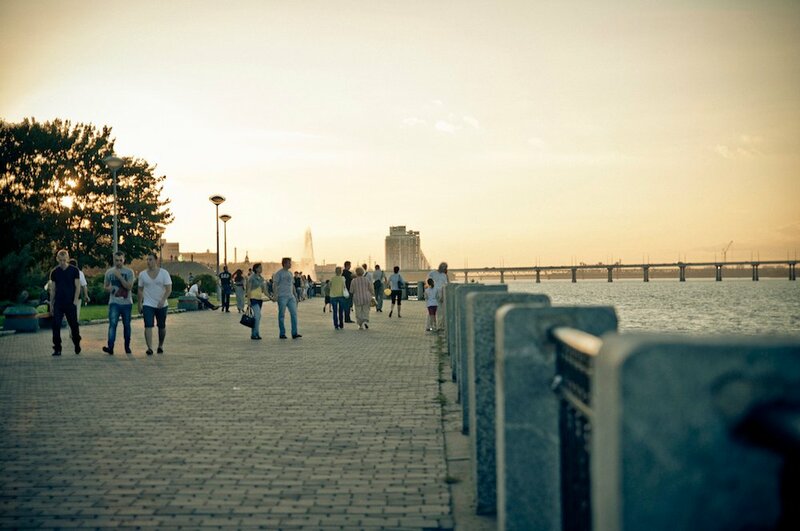 Fountains in the river splash away, and all this fascinating exotica can almost make you miss the other side of the Dnipro, where panel-built slabs extend interminably towards a skyline of red, rusting chimneys. From here, you have to go up a steep hill to get to the city centre, past the glassy headquarters of PrivatBank, and then some small, northern English red brick houses from Ekaterinoslav, to the square housing Dnipropetrovsk’s War Memorial, a very tall, flat red granite obelisk topped by a figure of Victory waving a flag over the Dnipro, a (lit) eternal flame and the hammer and sickle. She’s in very good condition, but her dominance on the skyline is reduced by flanking high-rise postmodernist office blocks, whose ground floors feature “Bootlegger: Original Stylish Bar”, and offices for some of the post-Maidan political parties. These are a vacuous bunch, and it helps to list their names in English: Petro Poroshenko Bloc “Solidarity”, People’s Front, Our Land, Renaissance, Opposition Bloc, Dill, Fatherland, Freedom. With the exception of the last two, each has existed for mere months, yet have offices and billboards everywhere. Politically, each of them is right-wing, with minor variants — Fatherland are mildly economically populist, Freedom are rebranded fascists, “Solidarity” and People’s Front are the government, and the most “European” in outlook. Most are funded by Kolomoisky, who has specifically stated the only parties he doesn’t fund are Opposition Bloc (Akhmetov), Fatherland (Tymoshenko) and Petro Poroshenko Bloc “Solidarity” (Poroshenko, obviously). Renaissance, Our Land and Opposition Bloc are all rebrandings of the formerly governing Party of Regions, whereas Dill is “patriotic” and accommodating to neo-Nazis. The Mayoral election here went to a run-off between Dill and a Poroshenko-backed Opposition Bloc candidate, with the former winning. This is not the political system anyone could possibly have had in mind on Maidan two years ago. 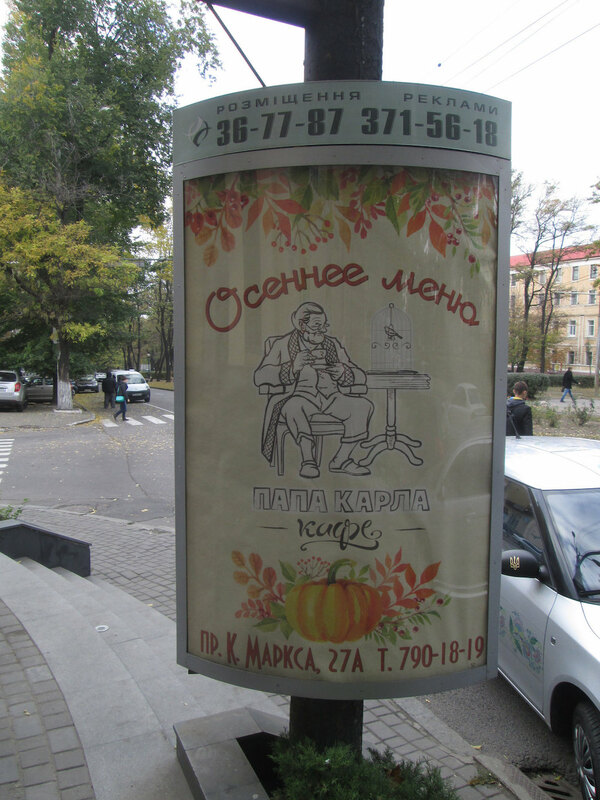 You’re now at Dnipropetrovsk’s main drag, Karl Marx Prospekt — signposted by a cafe called Papa Karl’s, whose sign features the man himself dressed in a smoking jacket, sipping a cup of tea. It’s hard to imagine quite so domesticated an image of the far-right wartime guerillas these streets are supposed to be imminently renamed after. This extremely long boulevard is a low-rise mix of classical, Gothic, Constructivism and Stalinist Empire style buildings, with lots of cafes and shops, and a strip of parkland though which a tram runs in the middle. It’s very pleasant. One part of it adjoins a park featuring the pretty, St Petersburg-style Transfiguration Cathedral (the architect was Andreyan Zakharov, and the central spire is clearly modelled on the famous spike he designed for the Admiralty in the imperial capital), the Battle of the Dnipro Rotunda, and the Museum of the City of Dnipropetrovsk. 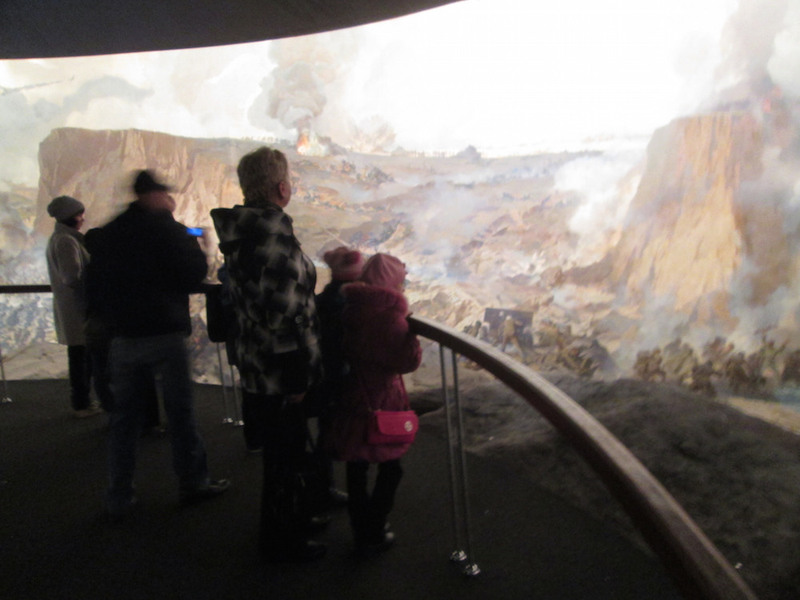 The Rotunda is quite straightforward tub-thumping Soviet jingo, housing a big painting of the pivotal crossing of the river by the Red Army in 1943, with sound effects — I watch a group of schoolchildren have it all explained to them. 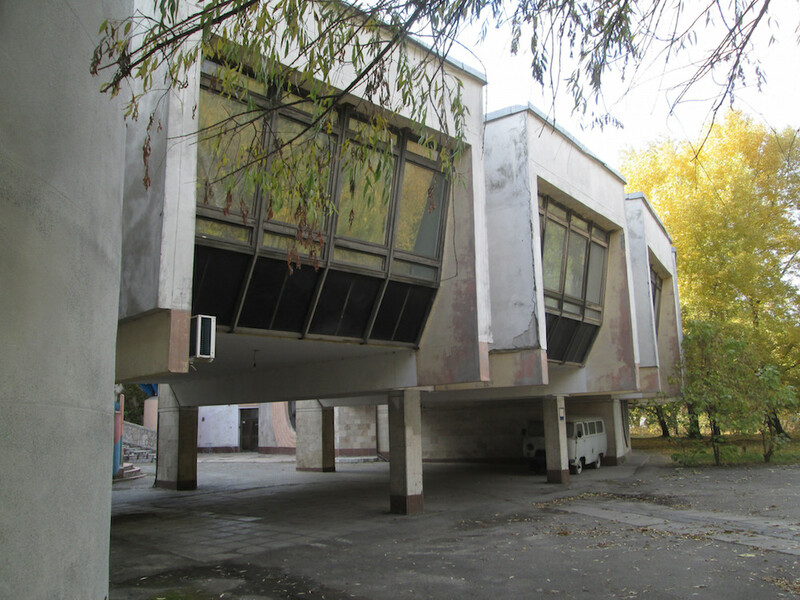 This will stay, of course, but what will happen to the adjacent Museum of the City of Dnipropetrovsk is anyone’s guess. 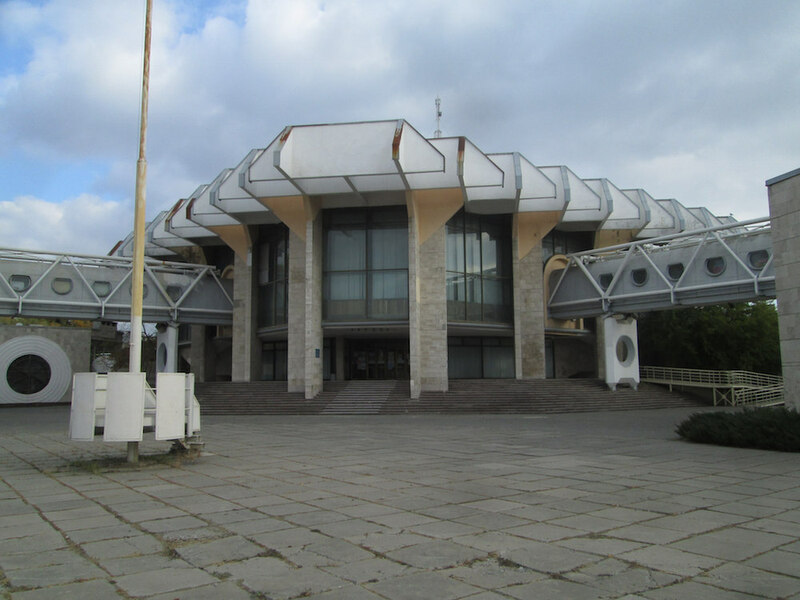 It is an exemplary Soviet museum, beginning with Homo Erectus, who through dioramas, relics and sculptural reliefs, evolves and ascends through slavery, feudalism and capitalism to the construction of socialism and victory in the Great Patriotic War. It is hard to imagine anything here has changed since the 1980s. A continuous mural and an incredible collection of revolutionary memorabilia covers a large hall on October 1917, and the room on the early 1930s borrows heavily from El Lissitzky to create a dizzying panorama of socialist construction. Something else happened here in the early 30s, but it is not mentioned. 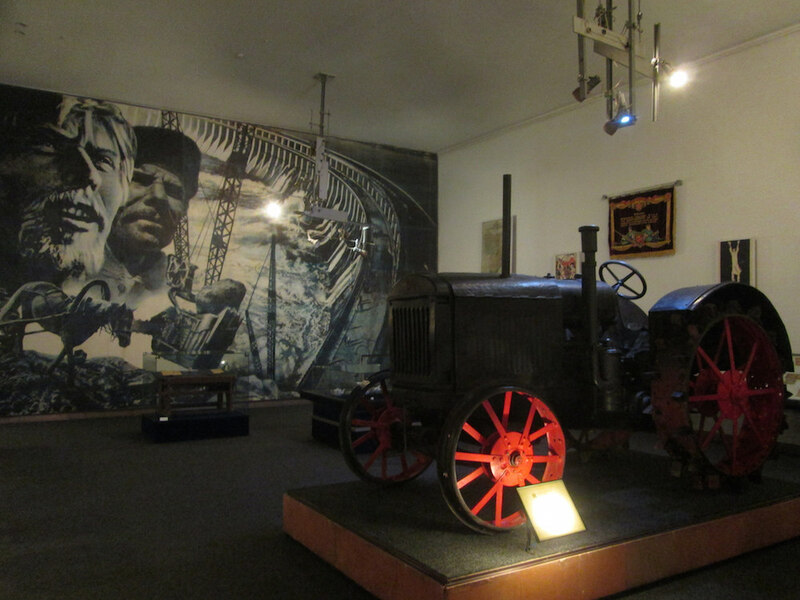 The only room that has been changed, it would seem, is that on the space programme — important here, given it’s where the satellites and spacecraft were actually made — where lonely spacemen look out over exhibits on traditional Ukrainian folk culture. The rocket factory still exists, and hasn’t paid its workers for four months. Just round the corner is a Monument to 90 years of the Komsomol, the Communist youth league. It was erected in 2010. When you explore round here a little you uncover a secret. 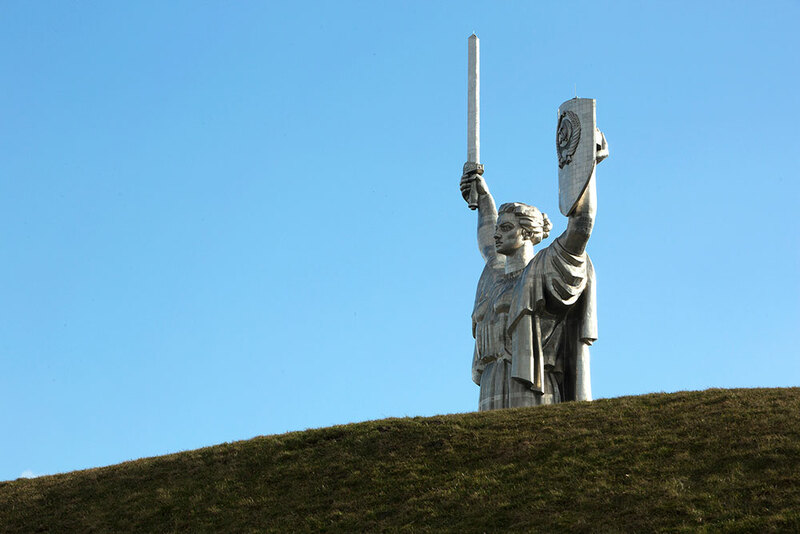 For the proponents of decommunisation, like Holocaust revisionist historian Volodymyr Viatrovych, Russia is a dictatorship today in large degree because it didn’t decommunise, and if Ukraine does, it will be inoculated against the bacillus inculcated by Communist street names and monuments. 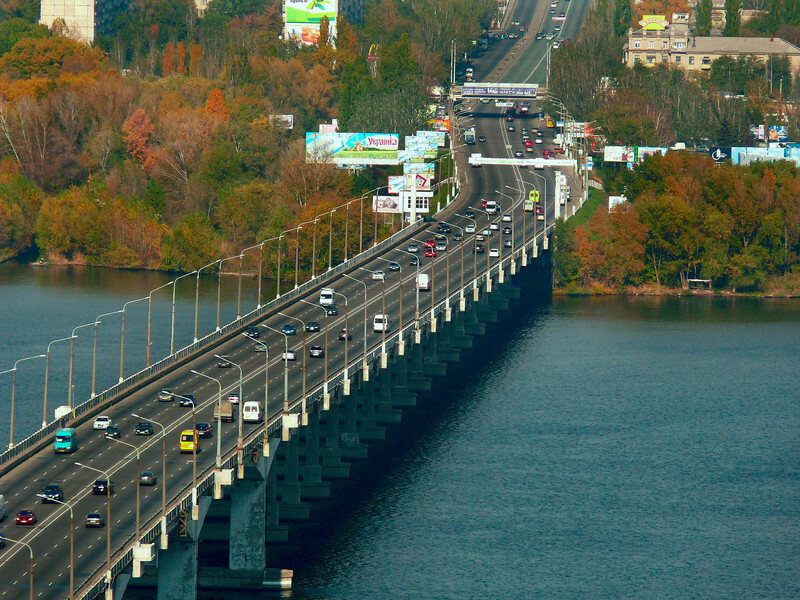 However, Dnipropetrovsk, even in November 2015, actually has more of these than Moscow. Since 1991, the Russian capital has had no streets named after the Cheka’s founder Felix Dzherzhinsky, or Stalin’s right-hand-man Kliment Voroshilov, nor has it recently erected monuments to defunct Communist youth organisations — and the sculptural plaque on the residence of Leonid Brezhnev was removed, although it was restored in 2013. 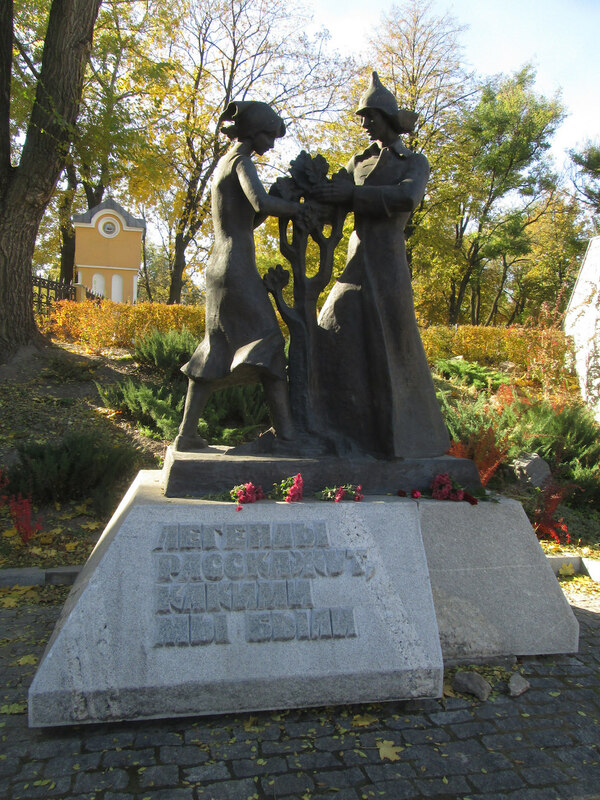 Dnipropetrovsk has all of these things, although it also boasts a plaque for Anarchist leader Nestor Makhno, whose “Free Territory” briefly encompassed Ekaterinoslav. The lack of de-Sovietisation was more profound than in metropolitan Russia, and it appears most likely to have been a means not of enshrining dictatorship, but of creating an appearance of continuity for the workers of Rocket City, as the Rocket Managers made themselves into billionaires. You can see some of where the money went in and around Karl Marx Prospekt. The two pyramid skyscrapers named The Towers, clearly modelled after Canary Wharf, in the city where this lot put their money, are useful examples. 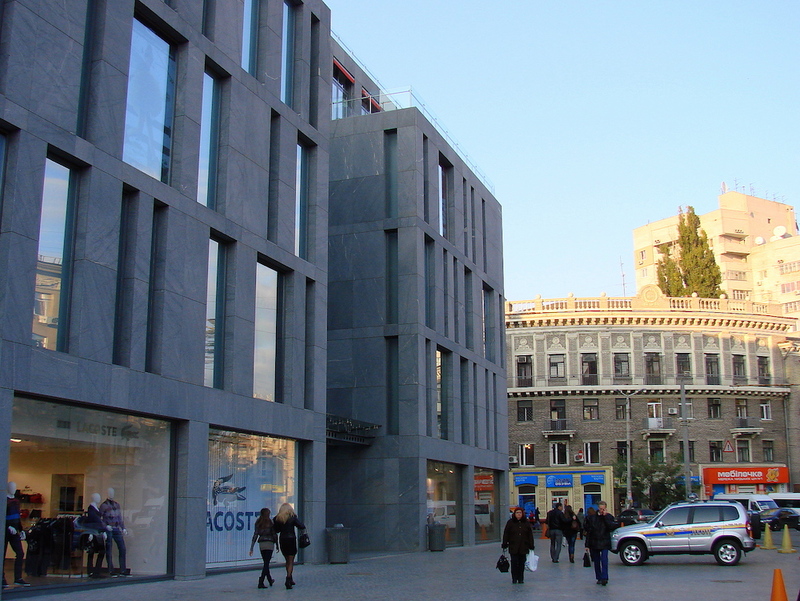 So too are the many high-end shopping malls, such as the Passage, Soho, the Europa Center and Most City Center, and the many brick apartment buildings, with stepped sections and grids. What is notable about all of these is that architecturally, they are far closer to their European models than anything you will see in Kiev or Lviv. The Ukrainian capital’s architecture for the last 20 years is mostly indistinguishable from that of Moscow: masonry clad high-rises with vaguely neoclassical detail and bulky massing, rammed pell-mell to maximise profit on small sites. 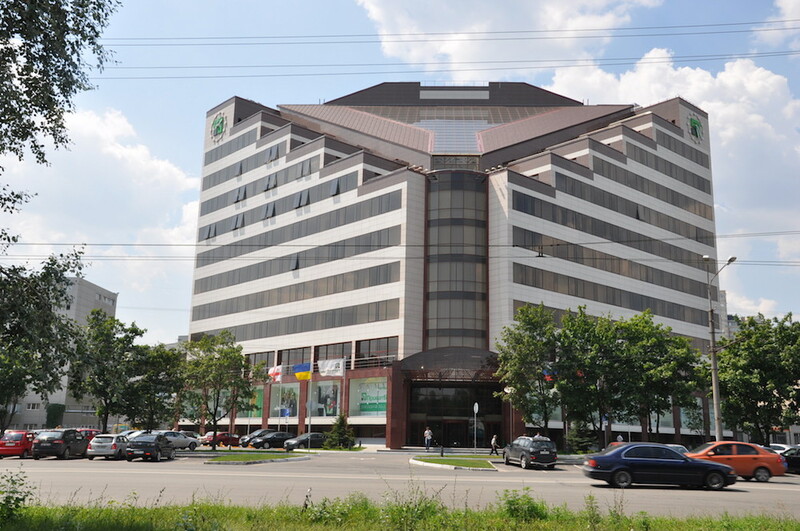 But in Dnipropetrovsk, architecture is much more laconic, with regular facades, high quality stone or glass facades, and reasonably sensitive massing on the street. They could be in Germany. Most peculiar is the Menorah Center, a pet project of Kolomoisky, a “Jewish-themed” shopping mall topped by a stepped skyscraper hotel, in a classical-modernist style similar to that of Berlin’s Potsdamer Platz. No “New Russian” kitsch round here. You don’t have to walk far from here to find redbrick houses with no windows, covered in vegetation, but it’s still unexpectedly neat for Ukraine. They’ve splashed their billions on some really nice hotels, office blocks and malls. Good for them. 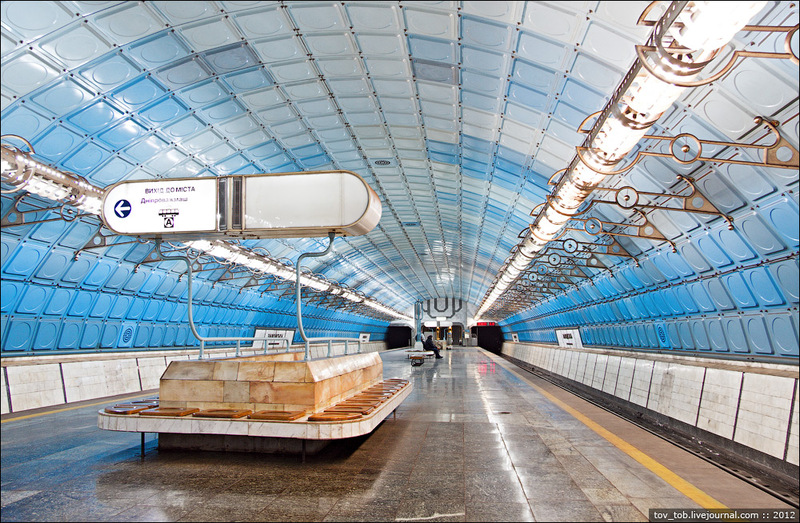 To see where the money did not go, take the Dnipropetrovsk Metro. 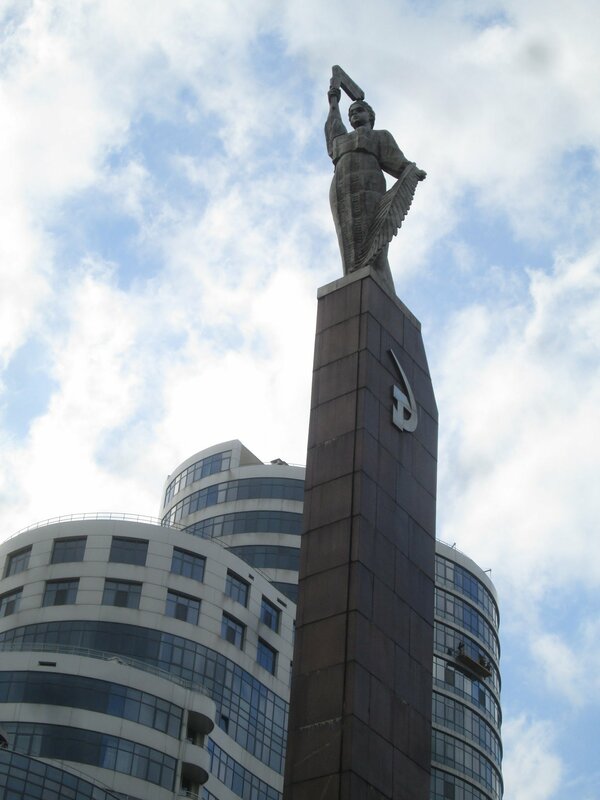 Or rather, take the tram to the Dnipropetrovsk Metro, because it has never made it to the city centre — although finally, around 20 years after schedule, work is being done on an extension that will; the works obscure the plinth where the city’s Lenin statue used to stand, around what is now Heroes of Independence Square. 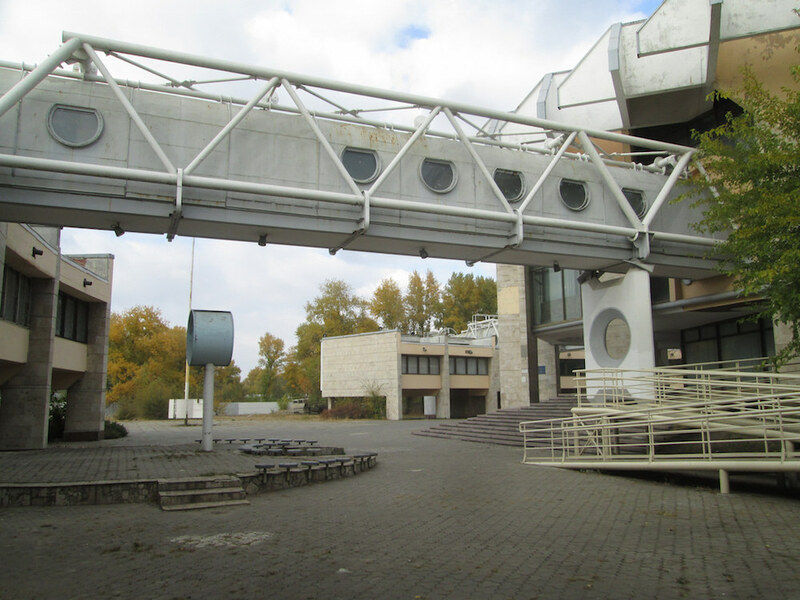 The stations stretch from the main railway station out into the panel suburbs, and the plan and construction time — and even the trains — are very similar to the Warsaw Metro, begun in the early 80s and opened to the public in 1995. The differences between Poland and Ukraine, comparable in 1989, can be seen in the two systems. One now has 27 stations, the other, just the original six. Both were originally planned around lines taking workers from factories to housing estates first, and more leisurely journeys second. The centre wasn’t a priority. 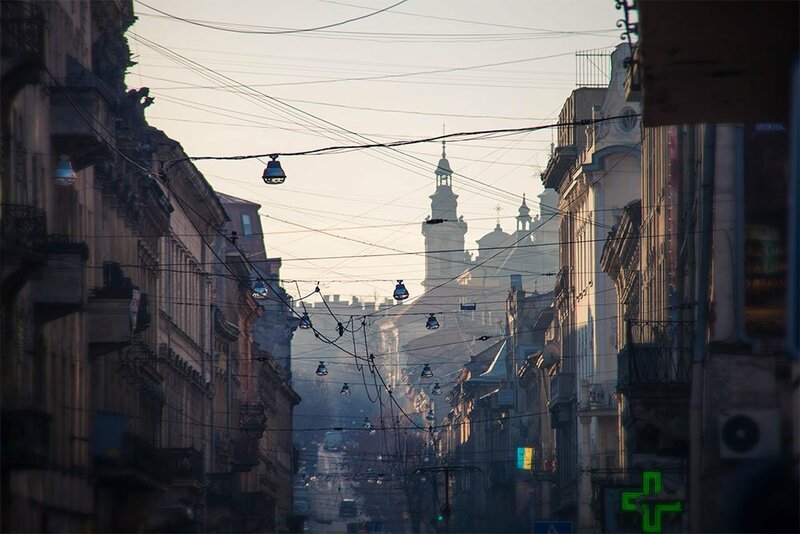 The differences between “western-leaning”, “normal” Poland and Ukraine since 1991 could be summed up both in the fact that a Metro in a Ukrainian city that is the equivalent of, say, Katowice, got built at all, but also that after that, development stopped almost totally. No wonder Poland is considered the “road not travelled” by many Ukrainians. 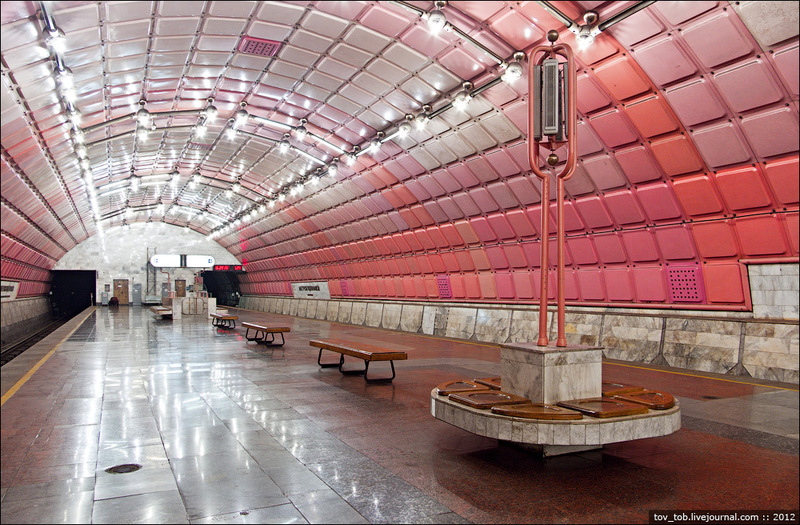 Nothing to envy, it would seem, unless you have the opportunity to explore the architecture of the Dnipropetrovsk Metro. It is, not to put too fine a point on it, jaw-dropping. The stations are reached by deep escalators with funereal uplighters, in the Moscow Metro style. The ticket halls are lined in various kinds of marble, with patterned concrete ceilings, and the signs, pointing you the direction for the Ilyich Palace of Culture, Kalinin Street or Dzherzhinsky Street, are chic and simple. But the underground halls themselves resemble anterooms for intergalactic travel more than waiting rooms for the daily slog to work. Two, Kommunarivska (just renamed, now Pokrovska, as presumably a new name is just as good as a new station) and Vokzalna, are Moscow-style, with ornate lamps and deep red marble, and concealed lighting creating a grotto-like effect, respectively. 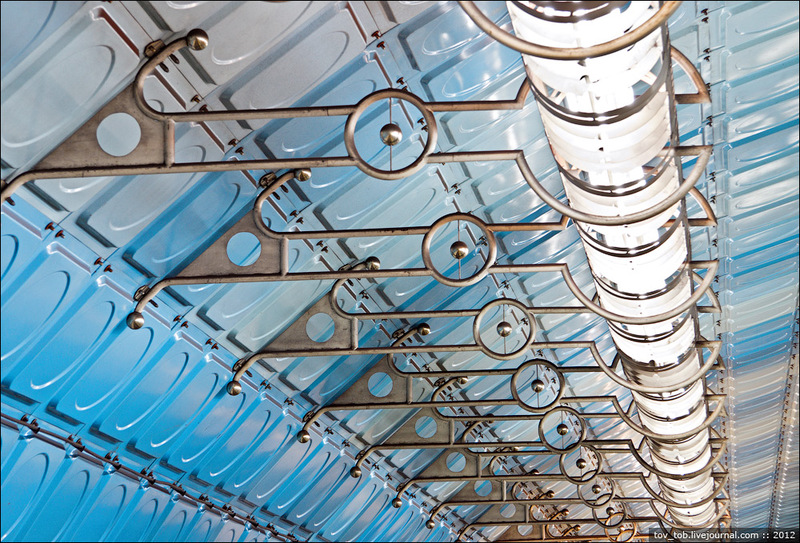 The others are all of a standard type, with gigantic barrel-vaulted halls where lampshades in the shape of metal blobs light ceilings lined with curved plastic panels in some very un-90s colours — sharp, metallic purples, blues and yellows. Appropriately for Rocket City, it evokes the Mir Space Station, a late moment of cosmic confidence. These are structures somewhere between cathedrals and psychedelic laboratories, although it is very much best to photograph them when the uniformed women who flag the trains by aren't looking, lest you be hit with their red lollipop. The signals appear to be played on an analogue synthesiser, as if Kraftwerk were moonlighting to create public transport jingles. 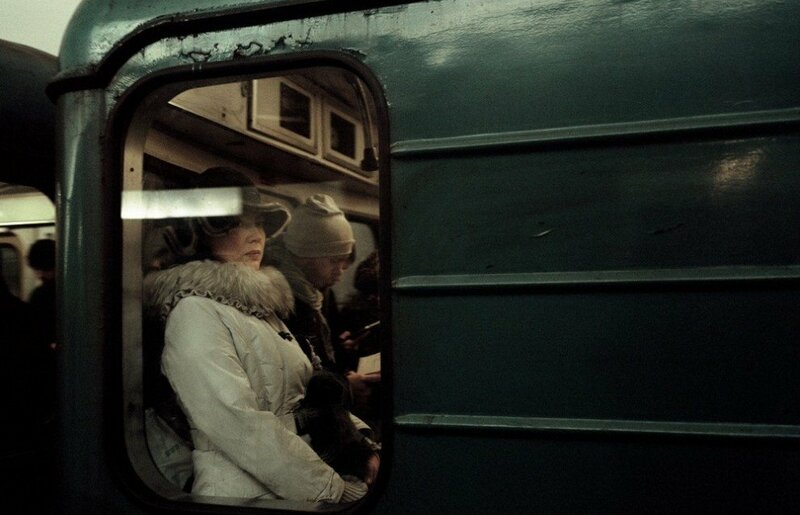 The trains run every 15 minutes, and are half empty in rush hour. Around a third of the lights in the stations are permanently switched off to save electricity. The shops and kiosks in the underpasses, a chaos of informal commerce in Kiev, are nearly all empty. This is a city that plays home to some of the richest people on earth.